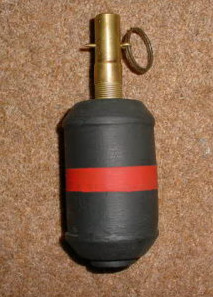 This smoke grenade was made of a thin steel body and was filled with WP. 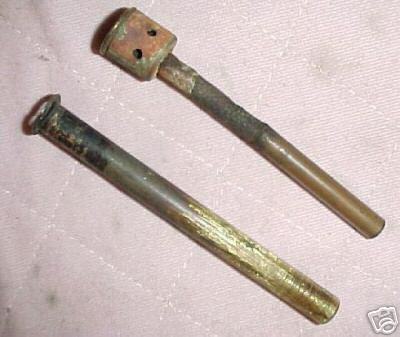 It was used as a riflegrenade as well, by fitting a rod into the threaded base (Mk1) or a flat base plate (Mk2). Heigth 159mm, width 57mm. 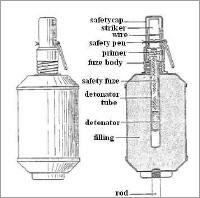 Weight 553gram including 347gram White Phosphor. 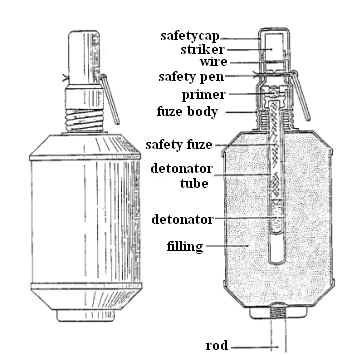 Above : detonator set with tube for the No.27 grenade. Photo © Siegfreid.